Hi, my lovelies as you can see from the heading I have some wonderful news with you to share with you. Two and a half weeks ago Pepita Barber approached me to join their ambassador programme. They are a relatively new jewellery brand that opened their online shop in November last year. At the moment their range includes earrings, bracelets and necklaces. All items are available in gold, silver and rose gold at a really fair price point. After scrolling through their online shop, I agreed without hesitation to join their ambassador programme. Because their jewellery, especially their bracelets and necklaces, work wonderfully for layering as well as mix and match different pieces. Also, if you have been following me for a while, you know I have a passion for the bling bling. So, this offer is just the perfect fit for me. My first pieces from the collection are Selene Necklace Silver and the Leo Necklace Rose Gold. 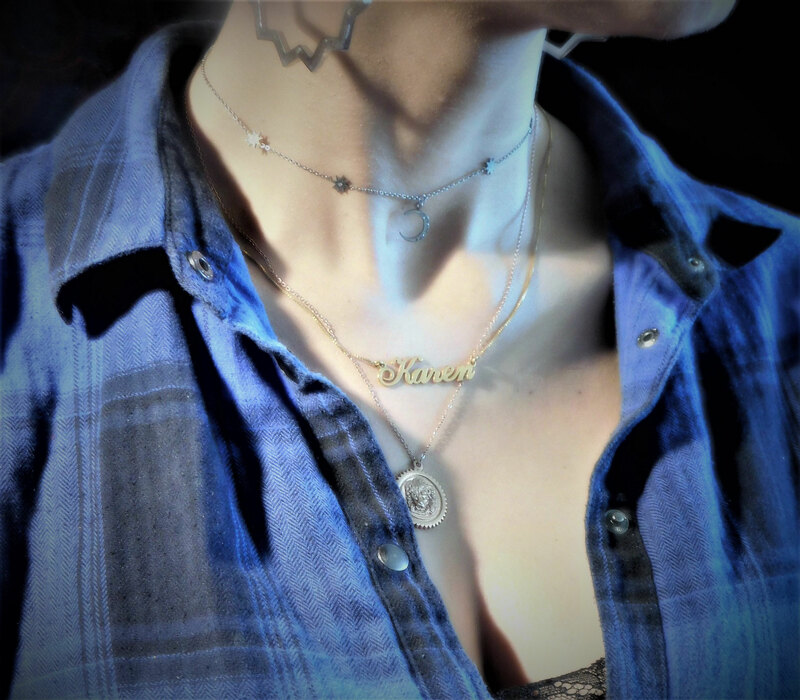 I can change the chain length on both of the necklaces. 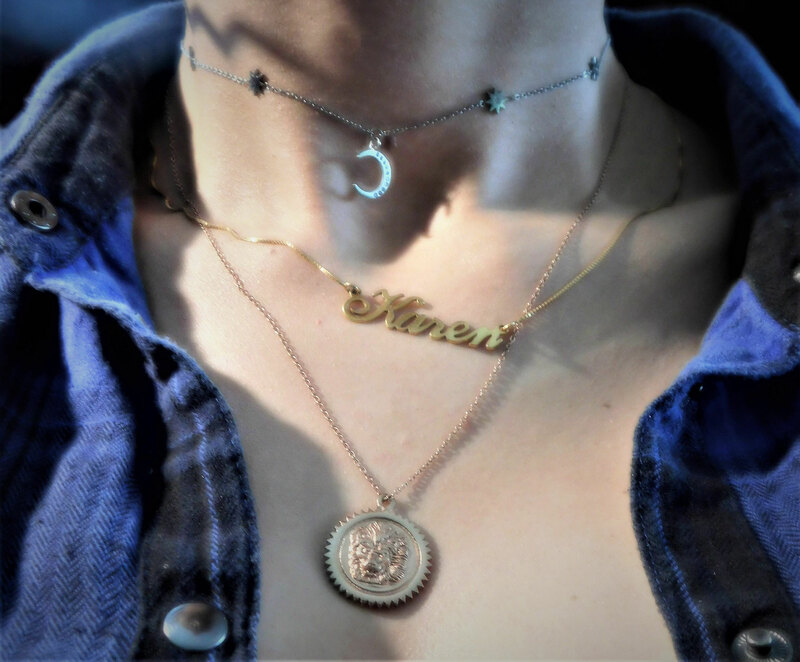 Therefore, they work great for mix and match with other pieces I already own like my golden "Karen necklace". For you, my ambassadorship with Pepita Barber means, you get a 15% discount on their entire collection if you use the discount code Karen at the checkout in their online shop. This discount is also a thank you to all of you, who have supported me throughout my blogging journey or/and on Instagram. Without your support, likes and comments this wouldn't be possible. Thank you so much, from the bottom of my heart it means the world to me.